I think I’m finally getting the hang of living life in the slow lane. On two week breaks away from my work at Calcutt Boats I cruised to notch up miles and locks rather than with any real interest in visiting the fascinating places I passed at the blistering speed of 4mph. In April 2015 I left my much loved job at Calcutt Boats so that I could cruise the inland waterways network full time. After my April discovery days, I revved my old Mercedes engine, slammed the boat into gear, and raced away from the starting line. By the end of the year I had a respectable number of locks and miles under my belt and an interesting collection of canal-side photo’s. What I didn’t have was any knowledge or experience of the hundreds of noteworthy towns, villages or other sites of interest a stone’s throw away from my brief overnight moorings. I used 99% of my diesel for propulsion rather than battery charging which demonstrated how rarely I stayed for more than one night on the same mooring. This year, thanks to a very different attitude to continuous cruising, thanks mainly to Cynthia’s insatiable curiosity about every aspect of her new life afloat, we have cruised more sedately and less often than last year. 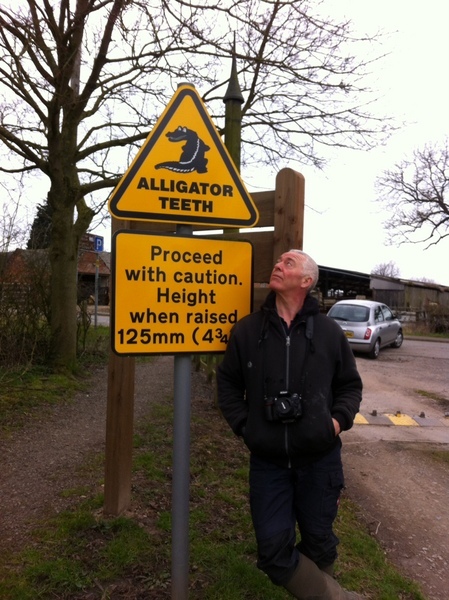 On Monday, our fourth day on a peaceful mooring close to Sutton Cheney wharf, we whiled away the hours basking in the early spring sunshine from the comfort of a conveniently placed canal-side bench. Our leisurely, but slightly strained, sunbathing was a reward for completing a job I have been putting off for a while. I emptied and cleaned our composting toilet. I had the Airhead Compact composting toilet fitted in May 2015 after enduring a cassette toilet for half a decade. The new environmentally friendly toilet has been a huge improvement. We no longer have to rely on finding working Elsan disposal points or enduring the mess left by others. A composting toilet has many advantages over both cassette and pump out toilets, but the major disadvantage is that emptying the solids tank is both laborious and a little too messy for some. I haven’t been putting off emptying the solids tank because I’m squeamish. One of my responsibilities when working at Calcutt Boats was to ensure that any blockages in the on site sewage system were removed as quickly as possible. My record for sewage rodding was seven solid hours (pun intended) on one very warm summer’s day. I spent much of it up to my knees in the brown stuff. After years of dealing with hundreds of gallons of raw sewage, emptying a small tub of my own waste isn’t a problem. I haven’t emptied the solids tank for four months because we’ve been moored at Calcutt Boats with access to their on site facilities. Our composting loo has been used for high days and holidays, or to accommodate a sudden and pressing need. Last week the toilet started to smell a little even though there still appeared to be plenty of room in it. Cynthia and I have gone continental and bin our used toilet tissue rather than drop it in the solid tank which quickly fills it up, so the gap between emptying sessions is much increased. The solid tank is a very sturdy plastic bucket which the toilet sits on, secured by four bayonet fittings held in place by four screws. To empty the solids container, the liquids container has to be unclipped and removed and then the toilet screws need undoing before the toilet is lifted off the solids container. There’s a lid to put over the top of the solids container while it is transported outside so, I fitted that before lifting it from its restraining bracket and finding the cause of the unexpected smell. The solids container has a sturdy spiral steel bar running through it from one side to the other. The steel bar protrudes from both sides of the plastic bucket, further on one side and shaped as a handle. This is the poo stirrer. Each time you use the loo, you give the handle a couple of turns to mix the contents and uncover any wet stuff. There’s a 12v fan connected to a hose in the side of the bucket which extracts any moisture and expels it through a roof vent. Although our solids bucket was still only slightly more than half full, the contents had risen above the holes in the bucket sides where the steel stirrer protruded on both sides. Liquid from the container had seeped through the small gaps between plastic and steel, run down the outside of the container and pooled underneath it on the bathroom floor. Fortunately I had oak effect laminate flooring fitted two or three years ago, so the mess was unpleasant to clean up but the process was quick and easy. I dug a six inch deep scrape in a wooded area next to the canal, emptied the contents of the bucket into the hole, replaced the grass sods and carefully trod them down, and then spent half an hour cleaning both the solids and the liquids container, and the toilet itself with an eco bathroom spray. An hour from start to finish and the toilet and the bathroom were odour free and ready for another month or two’s use. I never look forward to doing the job but I find it very satisfying once it has been done. While we were cleaning the toilet, the sun came out. Once finished, we made a hot drink, collected Kindles and glasses, then plonked ourselves on the bench ready for some serious relaxation. Minutes later we were back in the boat looking for some seat padding after both of us fell through the six inch gap between the seat’s only two planks. Armed with a couple of pillows and something comfortable for Tasha to lay on we climbed back out of the boat to the bench. After four more trips inside the boat, we were happy that we had all the appropriate equipment; two fleece hats, two thick winter coats, scarves, gloves and a blanket. Then the sun went in so we carried it all back inside. Isn’t the English spring weather wonderful? Once we had sat in front of the fire for a while to recover from our spring sunbathing, we prepared ourselves for an expedition. We needed to post a letter and ensure that it reached its destination by the following day. When you live in a house, posting a letter isn’t a big deal. There’s usually a post office, or at least a post box, a few minutes away from your home. The postal service isn’t quite so readily available on the inland waterways. A good internet connection is essential for managing the logistics of living afloat. My Pearson guide indicated that there was a post office in Stoke Golding two miles back along the towpath, or two miles ahead of us at Market Bosworth. A quick check on t’internet confirmed that the Stoke Golding sub post office was still trading, but the search also revealed that the Market Bosworth branch ceased trading in 2015. Two hours later, we had posted our letter, explored a quaint village neither of us had visited before, and worked up an appetite for dinner with a very pleasant four mile walk. We moved a couple of miles along the canal to Shenton on Tuesday, stopping briefly at Sutton Cheney Wharf to top our water up for the first time in over a week. At three hundred and fifty litres, our water tank is less than half the size of most narrowboats. When Cynthia first came on board, we needed to top up the tank every three or four days. Cynthia spends an enormous amount of time cooking. She enjoys cooking food, and I enjoy eating it. It’s a match made in heaven, but the downside is that dishes need washing three times a day. Most of our water consumption used to be from rinsing washed dishes. Cynthia experimented with a new system a month ago. Rather than washing dishes in the sink and then rinsing them under running water, she now washes them in half sink and rinses them in a washing up bowl filled with clean water. Our water supply now lasts us at least ten days. 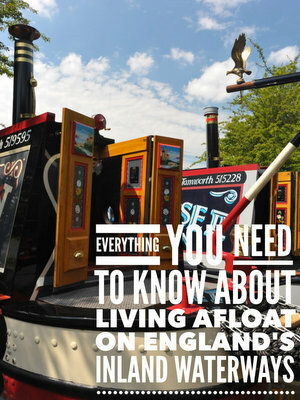 We moored close to Shenton aqueduct behind a private boat and a Napton Narrowboats hire boat. The crew of the private boat were busy trying to retrieve the hire boat from the centre of the canal where it had drifted after the hire boat crew had ineffectively moored using pins in wet and soft ground. The boat’s only occupants were an elderly lady and the family dog. Because she had a cold, the rest of the family had left her in the warm boat while they explored Shenton. She was too frail and too inexperienced to consider tying the boat on her own, so she sat inside and quietly panicked while we did it for her. Shenton is a beautiful village full of character and charm. The focal point is the very grand Shenton Hall, visible at various points in the village over high walls and through tall trees. The stately home is thought by the locals to be owned by American singing and acting legend Cher who has spent millions refurbishing the property since buying it. The enormous house is picture perfect. There are two farms in the village selling meat. We visited one twice. The shop was open but despite making as much noise as possible we couldn’t attract anyone’s attention so we gave up. Next we tried to have lunch in the tea rooms at Whitemoor’s Antique Centre in Shenton, or Shenton’s-Farmyard-Full-Of-Old-Tat as I like to call it. We tried very hard to part with our hard earned cash, but the owner was determined to avoid taking any money from us at all. The table full of food delivered to the couple next to us was the last hot food served that day so we gave up on the idea of lunch and settled for coffees and cakes instead. We still struggled to part with any money as the cafe didn’t take credit or debit cards despite having enough seating to accommodate at least a hundred diners. Their solution was to give us a receipt which we had to take to the antique centre’s main reception area, pay for our purchase with their machine and then take the receipt back to the cafe staff so that they could prepare our order. I can imagine the fun and games they have with this system on busy summer days. We moved a little further north the following day to Market Bosworth and our only opportunity on the northern section of the Ashby canal to buy provisions. The town centre has a reasonable selection of small shops but reaching it requires a mile walk uphill. A new marina has opened on the Ashby since my last visit. Bosworth marina can accommodate 150 boats, but only offers leisure berths. At £2,600 a year for a 62’ boat, the cost to stay there is £300 more than my mooring at Calcutt Boats. It’s also not as pretty, doesn’t offer as much space on site, doesn’t have any repair or blacking facilities, isn’t particularly pleasing aesthetically, and isn’t as well positioned for cruising routes. It’s not a place I would like to moor my boat, but it does have free spaces, accepts live aboard boaters for winter moorings and has a superbly equipped shower and toilet section in part of the site’s only building. The scenery along the Ashby canal is beautiful once you pass Hinckley’s urban sprawl. 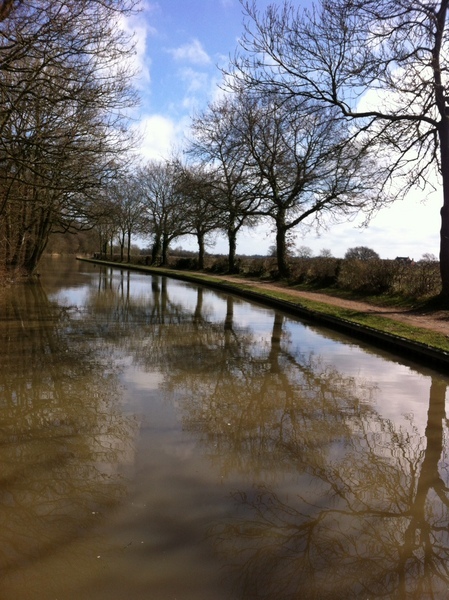 Unfortunately the further north you travel, the less you can concentrate on it due to the canal’s shallow depth. I struggled to make headway with my 2’6” draught but I didn’t struggle as much as either of the two coal boats we’ve seen on the Ashby. At over 3’ deep, both of them ploughed a furrow down the canal centre’s silt. Moving was difficult for them, but mooring, or even stopping to offer services to moored boats was a real pain. I stopped both boats this week, firstly for coal and then for diesel. I hailed both as they passed my moored boat. Because neither had any water under them, even with their boats hard astern, they were generally a couple of boat lengths away before they could stop and then begin to reverse. Stopping hasn’t been too much of a problem for me, but twice now I’ve lost control of the boat when grounding the stern in the centre of the canal on bends. Fortunately there is so little traffic on the Ashby that the chances of meeting another boat on a bend are slim, which is just as well with my boat at forty five degrees across the navigation. We reached the swing bridge close to the head of the Ashby canal at lunch time on Friday. No one was on duty at the Ashby Canal Society booth so we couldn’t pass through the swing bridge to cruise the extended section. James is too long to turn at the end anyway so we probably wouldn’t have bothered. We stopped long enough to dispose of our rubbish then headed south for three hours to Shenton. Despite their quirky financial system, we were keen to visit Whitemoor’s Antique Centre cafe again. The cake we tasted on the last visit was close to perfect. We discovered that a local semi retired high end cake maker provides all of their cakes. Neither Cynthia nor I have tasted better. The hot food yesterday was even better than the cake. I had home made shepherd’s pie with a couple of huge chunks of wonderfully light and crusty bread. Cynthia had an equally tasty vegetable bake with garlic bread. Both meals were large enough to serve as our main meal for the day. Both were enhanced considerably by the quality bread. Keen to find out where we could buy this delicious and, as I assured Cynthia thanks to my encyclopaedic knowledge of country cafes, obviously locally made bread, Cynthia quizzed our eastern European waitress. The waitress didn’t know but hurried off to ask the owner. She returned a few minutes later with a big smile on her face. “Bread is made locally by lady called Morrisons!” (In case you’re unfamiliar with the UK, Morrisons is a national supermarket chain and not a little old lady drawing on decades of expertise to produce baked perfection in her country cottage kitchen). 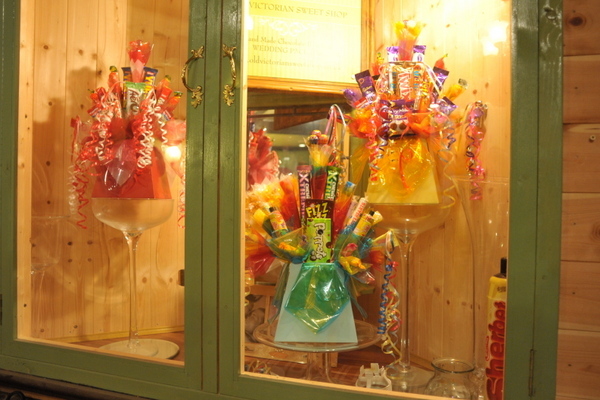 We didn’t think much of the centre’s antiques, but the Victorian sweet shop was worth a visit. We left the shop with bags of dark chocolate brazil nuts, mint imperials and, my very favourite childhood sweet, multi colour rice paper flying saucers filled with sherbert. the five mile long Battlefield Line. We were both looking forward to a ten mile steam train trip. The service resumed summer service yesterday. Given that Saturday was their first day of the season I checked their web site for up to date information first. As a belt and braces exercise I phoned them. No one answered but a recorded message assured me that the service was running. The station car park was full, as was the station cafe, but we will have to wait for our train trip. A fault on the line meant that the service was only running between two out of its three stations. A frustrating end to a wonderful day. We’ll just have to come back another day. We began our journey back to Calcutt Boats this morning. The return trip will take twenty hours. We have to be back on Wednesday at the latest ready to pick up our new motorhome on Friday. We stopped briefly close to Ashby Boats to stock up at the excellent Tomlinson’s Farm shop. We bought fresh baked steak and steak and kidney pies, crusty locally baked bread rolls, fresh baked scones, a pork hock, seasonal vegetables, a small organic smoked brie and, the purchase I’m most looking forward to trying, two goat burgers. 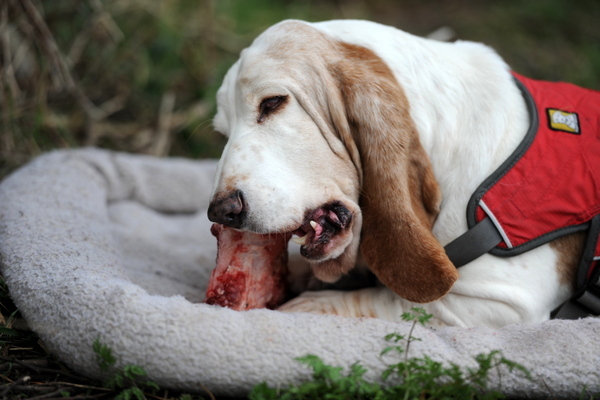 The owner of the farm shop also gave us an anvil sized bone for Tasha. That’s it for today. The sun is setting on another perfect day on the cut. The weather has been wonderful. I cruised for a couple hours without a coat, sitting on the cabin top with a warm boat under my bum watching mating ducks and budding trees. Life is GOOD! Everyday I wake up on this cruise of the past two weeks I have to pinch myself as I realise I am truly living the dream. We have enjoyed wonderful quiet moorings. Our mooring at the beginning of the week was special because of the close proximity to Sutton Wharf and the amenities there, as well as the fact that we had a wonderful bench to sit on right outside our door. It beckoned to us a couple of times, and on Monday the sunshine called to us and we made use of this bench to enjoy the benefits of the sun as well as to catch up a bit on our reading. Tasha had her bed beside us and also enjoyed the environs. Following a quick bite, we had to set off for a 2 1/2 mile walk along the towpath to Stoke Golding where we needed to post a letter. It remained sunny throughout the walk with just a bit of a light breeze. In order to make our return trip, we decided fortifications were in order and popped into the store next to the post office to purchase a couple of items. We ended up walking through a field going back, and when we came to the bridge to rejoin the towpath, we were surprised to find there was no access from the bridge—there was a locked gate wrapped in barbed wire which presented a bit of a challenge. Thanks to Paul’s dexterity, he was able to scramble over the gate without incurring injury and then hoisted me over as well. We continued on our merry way and met up with a nice gentleman who was fishing in front of his moored narrowboat. We chatted for a few minutes then walked the rest of the way home to James. It was such a nice day. Tuesday, unfortunately, did not turn out to be a repeat of Monday in the weather department—it was a cold and dreary day, so we did boat chores in the morning. I had my first experience with cleaning out the composting toilet. Not a difficult process, just a bit time consuming. It was also vacuuming and laundry day. We finally set off early afternoon and went about 2 miles or so where we moored up at Shenton. There was another boat ahead of us, and a boat ahead of them where an elderly lady had been “abandoned” by the couple she was with—evidently the mooring pins became dislodged due to the damp ground and the boat drifted away. Between the people ahead of us and Paul and me, we got her sorted out, and then decided to go explore Shenton. 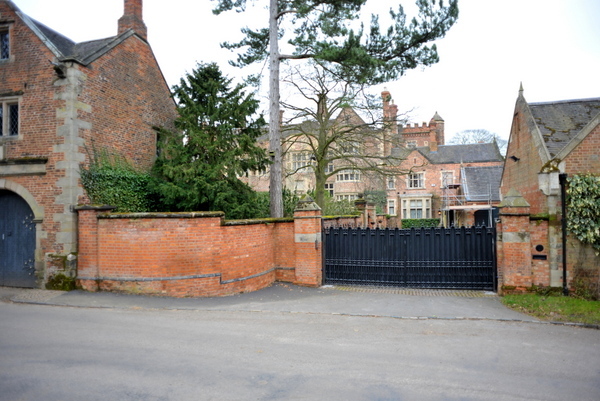 We asked about Shenton Hall and who owned it, and apparently it is owned by Cher! We also found out the whole village is owned by one person. On our return trip to the boat we decided to follow a path across the field adjoining the Shenton Hall property. We were able to get a little better glance of the house and of the beautiful lake and bridge beside it. We continued across the field where we came upon a road that took us right back to the canal. What a lovely day this was in spite of the cold and depressing weather—-we both love these kind of days that are full of exploration and discoveries. The next day found us mooring up at Market Bosworth just a couple of miles down the canal from Shenton. We came upon a delightful couple, David and Lesley of “Swan” who had been Discovery Day people a couple of years ago. We then donned the rucksack (that is Paul donned it!) and away we went a mile up the hill to Market Bosworth. What an enchanting town this is! Right up there along with my favourite Market Harborough. We shopped at the outdoor market for produce, then headed to the butcher shop across the square followed by the beautiful green grocer shop called Rose and Pedal. Not only was there beautiful produce, but flowers galore. We then did some other shopping and popped into a tearoom for coffee and a roll before heading back to our boat and then down the canal to our next mooring for the next two nights. We spent the next day doing things on the boat. Paul worked on the newsletter and then we took a nice stroll to Bosworth Water Park about a mile away where we enjoyed sitting by the water and watching the ducks and the world go by. A lovely, lazy day. Friday dawned cold and misty. We headed off to the end of the canal then returned to a mooring outside of Shenton. We made plans to take the steam train the next day that was stopping only a mile away. We were both excited about this. That night Paul made the statement he wanted to play a game of pick up sticks. We had been making a list of games we want to bring on our trips, and this was one of the listed games. I put on my creative hat, and remembered we had a box of matches. So we put these into action and played five games. Paul is in the lead—-but tomorrow is another day! Saturday was cold and dreary as well, but off we went back to the tearoom in Shenton for a most delightful lunch—we definitely made up for the lunch we’d missed on the first pass! It was superb to be sure. We headed off for the train station, but Paul had a sinking feeling it wasn’t running because he hadn’t heard the train’s steam whistle all day. This is one time I wished he was wrong, but he wasn’t. We asked in at the station and were told the tracks weren’t yet in order, and the train was only going as far as Market Bosworth that day. We were disappointed, but vowed we would return via auto in the near future to enjoy this experience. We are now heading home to Calcutt and then get ready for our next round of adventures. Who knows what’s around the next bend in the canal—the world awaits us!